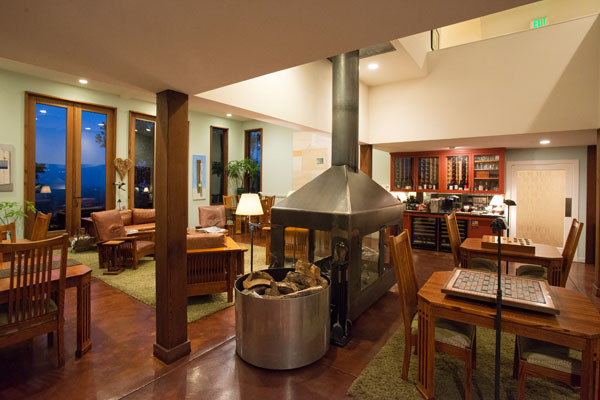 The Brewery Gulch Inn is your perfect northern California getaway. 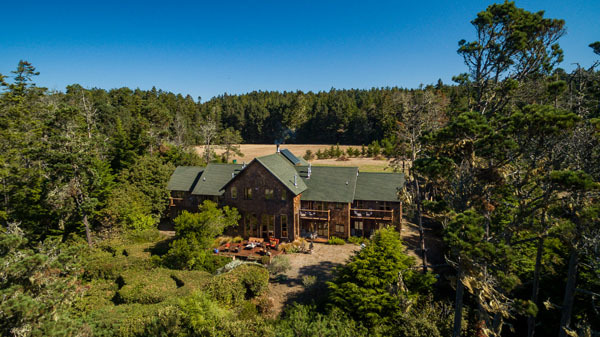 Tucked into the hills of the scenic Mendocino coastline, you will feel enveloped in seclusion before even leaving your car. The inn itself feels like visiting an old friend; a friend whose company you never want to leave and can’t wait to return to. The first thing you see through the entrance doors is the Great Room, a wide-open space used for dining and relaxation. It is the perfect spot to eat, drink and enjoy the company of those around you. The guest rooms are quiet and luxurious, fitting perfectly into this modern cabin paradise. Enjoy a book and wine by the fire or relax on your back patio overlooking a breathtaking view of the Pacific Ocean. Look above and around you, nothing but Redwood trees and wildlife. If you’d like to explore the local scene, Fort Bragg and Mendocino are just a short drive up the road. Proprietor Guy Pacurar and General Manager Steven Smith are incredibly helpful, insightful and friendly hosts. They, along with all members of the staff, greeted us with open arms and made us feel welcome. This is a truly special place and is the perfect spot for your next Northern California vacation! For more of an oceanic feel, look no further than the Little River Inn. The Inn sits on top of a hill overlooking the Pacific Ocean, giving you the perfect vantage point for spectacular views. The ocean envelops you here. Every room features an oceanfront view. 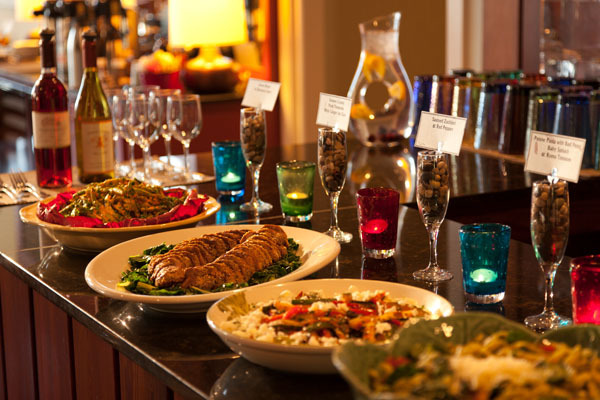 The Inn’s main dining room has both a sports bar and a more upscale dining area, catering to whatever mood you’re in. The sports bar lets you watch the big game with a view of the ocean. The dining room puts you in a rolling California garden with white tablecloths and a wide array of flowers and trees in the courtyard. Dining options range from a wholesome bowl of clam chowder to sirloin steak and lobster, with everything in between. This family-owned resort also offers on-site tennis courts and a golf course, so if you’re feeling extra cozy here, you’ll never have to leave the property! 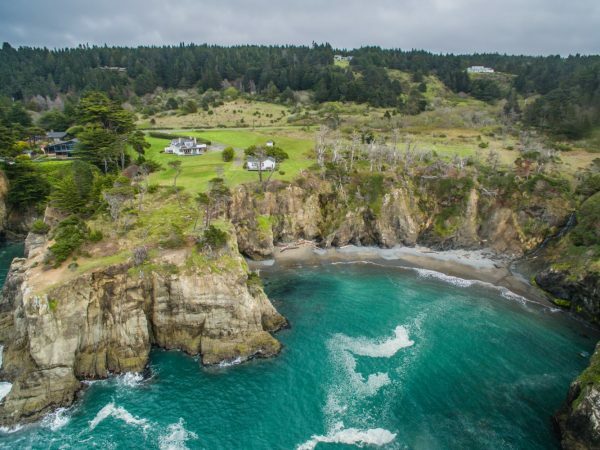 You won’t have to go too far to explore, with wineries, hiking and towns like Mendocino and Fort Bragg close by. 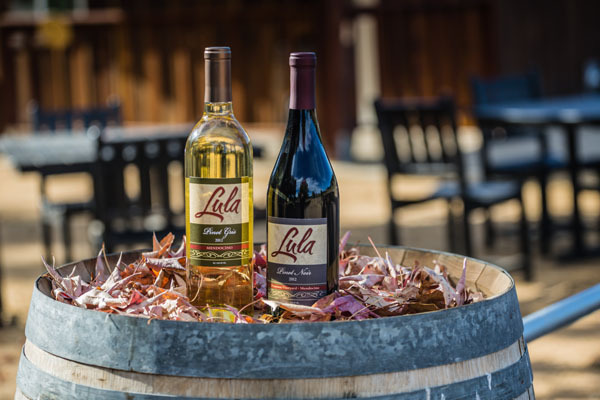 Tucked into the rolling hills of the “deep end” of Anderson Valley is Lula Cellars, a boutique winery with a surprising flair for entertainment. Specializing in Pinot noir’s, the wine list is diverse, unique and award winning. This location is especially noteworthy due to the atmosphere created by the tasting room team. They take the time to greet each guest with a glass, a story and more than a few laughs, creating a friendly, laid back, and welcoming atmosphere for all guests. Enjoy your wine in the tasting room or make your way out back to enjoy the view of the vineyard itself from a row of rocking chairs. A historical landmark in Fort Bragg, California since 1885, the Skunk Train is a must-see for anyone looking to experience the Redwood Forests. 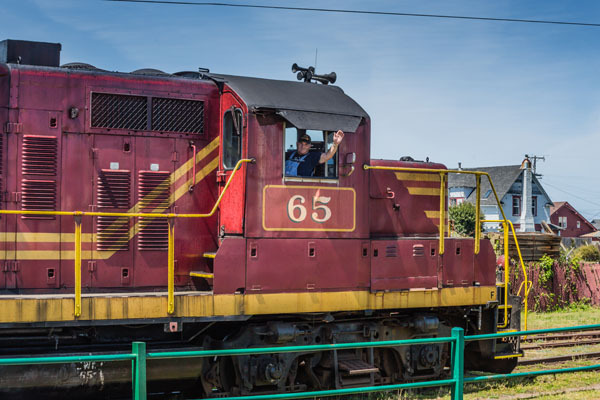 Pulled by a diesel locomotive, the Skunk Train offers riders a 365-degree view of the world-famous Redwoods, as well as an up close and personal view of the local wildlife. The train’s food and beverage cart includes snacks as well as some of the finest wines Mendocino County has to offer. Along with daily operating hours, riders can enjoy special holiday events for Christmas, Easter and Halloween. Cal Mar is the perfect mixture of the tastes and hospitality of Italy in Beverly Hills. This modern, well-lit eatery is located on the corner of Beverly Center, providing a wonderful atmosphere to enjoy some of the best Italian cuisine Los Angeles has to offer. With a long list of wines and a diverse menu, the chefs do a fantastic job creating dishes that feel like old- time Italy with a modern flair. The feeling is upscale dining, but not over the top, making Cal Mar a great spot for date night, family night or celebratory dinners. The staff is friendly and helpful, doing everything necessary to create the best dining experience possible. Welcome to the Los Angeles version of the modern steakhouse. Yardbird Southern Table & Bar, located at Beverly Center in Beverly Hills, brings on the southern charm with an unmistakable L.A. twist. With high booths, wooden tables and a wall of homemade marmalades, the space brings the comforts of the south to the west coast. The waitstaff is friendly and welcoming, quick to offer suggestions and recommendations. The bar features mostly bourbon and whiskey drinks, including their famous Bourbon Blueberry cocktail, or enjoy one of their signature craft beers. Keeping with the southern feel, the menu offers dishes like “The Duke” bourbon aged steak and chicken ’n watermelon ’n waffles prepared to your liking. But if you are looking for the real kicker, the lobster mac & cheese will do the trick. This dish stands out because each order has an entire lobster inside. Incredible. This location also has a private whiskey room, perfect for meetings, parties or special events.